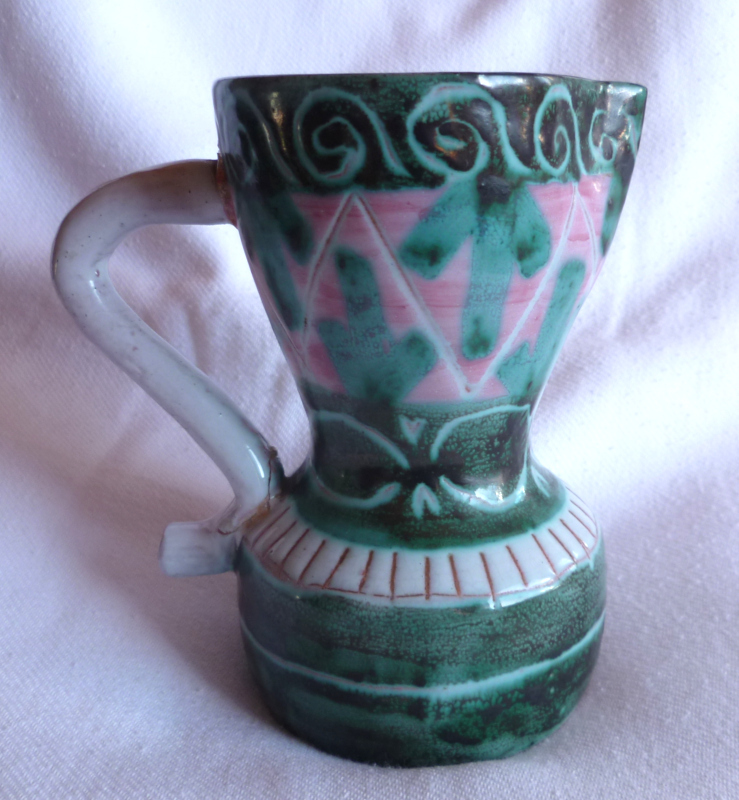 I could not resist this little broken jug - found in a junk shop in Charente, France. The colouring seems to hint at Robert Picault ... but not the design. So who or what is VERAL ... if, in deed, that is what is written? Does this have anything to do with Vallauris? 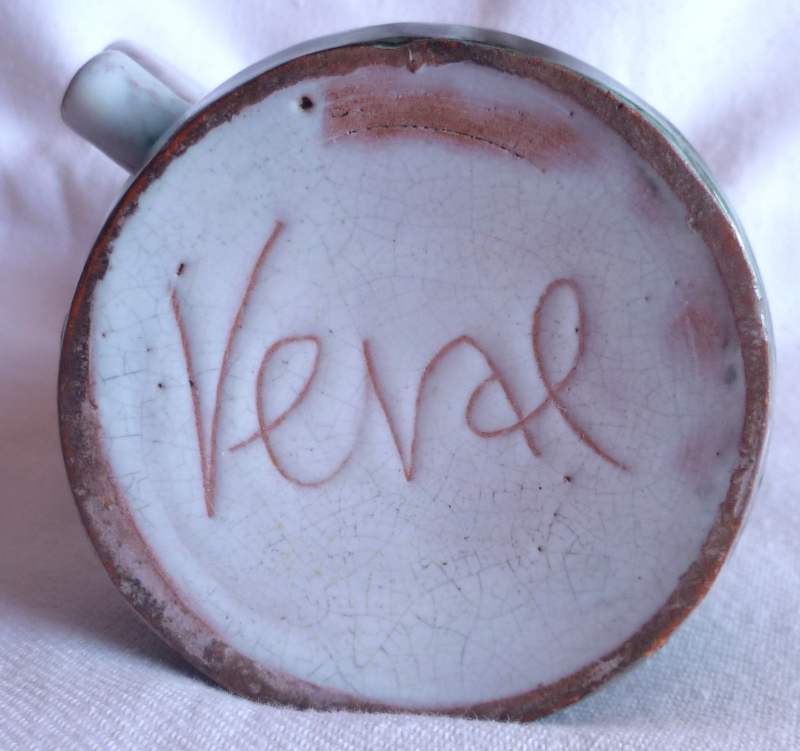 There are references to "Veral" marked on pottery on eBay ... but no one seems to know who the potter is. Is there anyone here who can solve this little puzzle? Keval maybe? Vallauris is very possible, or Hungary? Thanks for your responses NaomiM and tenpot (and dantheman!)... the plot thickens ... what do you make of this? 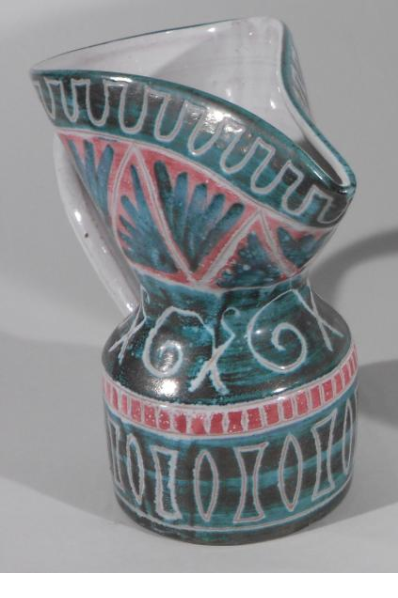 It looks the same colour way, same shaped jug (only his is 19cm high), same design ... so IS it the same hand? ... perhaps tenpot you have revealed another possibility ... supposing the mark is not 'veral' but a wierd 'French' way of writing 'Va-al'? Meaning VA for Vallauris ... and AL for ALLIX??? Great ... I'll go with that .... thanks tenpot. I cannot find any info on Verol ... does he or she have a surname? OK ... but that is brilliant! Thanks again! I guess I'll have to find something more challenging for you lol.